Requiring 2 day disclosure of short derivative positions affecting 5% or more of a company’s stock. The legislation’s authors dubbed it the Brokaw Act for the small Wisconsin town that was home to paper mill operated by Wassau Paper, which endured a four year tussle with activist of Jeff Smith of Starboard Value LP. Smith recently settled a threatened full-slate director proxy contest with Yahoo! and has been active in numerous Silicon Valley public companies. Wassau ended up being sold and Brokaw’s paper mill was shutdown, resulting in the loss of 90%+ of the town’s jobs. However, Wassau was subject to an intense corporate policy debate – sheet paper vs. tissue paper. And Smith committed capital for four years in that debate until an exit was arrived – hardly the form of balance sheet activist short termism (often in the form of massive debt issuances followed by stock buybacks or special dividends) that seems most corrosive to long term business success. Activists are loathe to accept a shortened Schedule 13D disclosure period: They often argue that when their interest in a given company becomes public, it immediate pushes the stock price higher – and so shortening the period in which they can amass a block of stock robs them of an ability to buy stock without tipping their hand to the wider market and disrupting prices. This timing challenge also has interplay for HSR anti-trust clearance for acquiring material positions (i.e. more than $78.3 million in 2016). Activists in the past have used a combination of derivatives and open market purchases to accumulate significant stakes within the 10 day current Schedule 13D window – shortening it to 2 days will materially impact that ability. Activists also will be reluctant to become part of groups that are very loosely ‘coordinating’. If one activist calls up another and suggest embarking on a campaign – where each pick up 3% of stock – that would presumably then force a Schedule 13D obligation – significantly curtailing the period of time in which activists could wait for their investment to become public. The word “coordinating” surely will quickly become subject to judicial scrutiny and interpretation. The Brokaw Act is authored by two Democratic senators from Wisconsin and Oregon – and co-sponsored by Sen. Bernie Sanders and Sen. Elizabeth Warren. However, the shortening of the Schedule 13D timeframe has been a favorite topic for the traditional business establishment – and it is far from clear that the central tenets of the Brokaw Act will provoke partisan vitriol. The progress of the legislation undoubted will be subject to activist lobbying and the gyrations of a wildly unusual election cycle. It would not be crazy, however, that a rare coalition of liberal and conservative Congress members could push the bill through. At the very least, it should make the SEC pay attention and move forward with this topic, as it was encouraged to do under Dodd-Frank but thus far for which it has been either unwilling or unable to definitively act. Peeling away the various arguments of stockholder activists and their often larger-than-life personas − and occasional multi-hour conference calls − lays bare the gritty details of the ways stockholder activists actually take positions in their companies and what, if any, notice a company may have of such a position. Activists have applied increasingly complex methodologies to their ownership positions. Discerning where they may pop up next requires nuance and sophistication. Buy low; sell high: Accumulate that position with a minimum of fuss – so that their basis is as low as possible. This entails avoiding public disclosure of their position until the very last possible juncture. Most activists who become significantly involved with a given company will accumulate a position of between 5-10 percent of the company – whether through direct equity ownership or other positions discussed below. Some activists will do less, particularly the embryonic activists who are seemingly emerging from anywhere these days as the area is flush with assets under management. And while some activists may go further in on a percentage basis, they uniformly will rely on large institutions – whether actively managed funds or index funds – to find an activist’s arguments appealing at a stockholder vote. Common stock. The cornerstone of an activist position remains owning a company’s common stock, accumulated through open market purchases or privately arranged trades. For reasons discussed below, such positions may be spread across a variety of funds controlled by a particular activist. Options. Activists increasingly use options – to avoid market-moving accumulation of an underlying security, to give optionality to capital at-risk and to maximize an activist’s firepower in its portfolio. For the latter, if an activist spends a relatively modest amount up front on options, it can take a larger potential position and then subsequently decide which position merits actual equity ownership and thus increased deployment of capital. Derivatives. Activists may engage in “synthetic” equity positions – cash-settled equity swaps – that are private contractual obligations. The interesting downside of such instruments is that every such contract by its nature involves a counter-party. For a material position, such counterparty may suddenly have a very distinct interest in blunting the impact of an activist – particularly where an activist is agitating for short term change that could immediately adversely impact the counterparty’s risk – whether by demanding the company be sold in whole or in parts or that it leverage itself for a special dividend. Schedule 13D: An activist has 10 calendar days after tripping the 5 percent beneficial ownership mark to file a Schedule 13D. In an effort to avoid a full listing of an activist’s position (or at least delay the timing of the 13D), in the past some activists asserted that derivative instruments were not captured under the Schedule 13D requirements. Court cases subsequently established that derivatives are disclosable instruments – and the addition of bylaw provisions for many companies that require eventual disclosure make the point largely moot as well. Avoiding a filing. An activist may spread its investment over a few different funds to putatively avoid HSR review – while perhaps technically legal, one has to imagine that if used prolifically, the FTC and DoJ will find sufficient means to close that strategy. Regulators talking. The regulators from the FTC and DoJ are allowed to speak to economic participants to gauge any level of economic concern from a proposed transaction. For a relatively small purchase in a company where the activist does not have another position in the same industry, it would seem unlikely that regulators would call a competitor to the company and thus start a potential trail of leaks. But if the activist is active in a given sector or there are significant concerns of market concentration or the like, such calls could happen. To early terminate or not. The HSR clock runs 30 calendar days from submission of the filing. A filer may request “early termination” of this 30-day period, assuming that the relevant agency (FTC or DoJ) concurs. In doing so, the FTC (as the coordinator of HSR filings) will post the occurrence of the granting of early termination to its website. An activist must weigh the benefits of early termination under HSR, and thus public disclosure, against letting the clock run out. Even if selecting early termination, an activist must lie in wait and hope that news of the filing does not leak before being notified of early termination and pulling the trigger on the equity purchase shortly before website publication. In companies with a market capitalization of over approximately $1.5 billion (derived from 5 percent and the $76.3 million filing threshold in 2015), this means that HSR early termination potentially will be an earlier indicator of a position than a Schedule 13D, which again is due 10 days after the position is acquired. Charter documents: In response to the advent of more sophisticated derivative positions by activists, many companies have adopted bylaws provisions that require a proponent of a stockholder proposal for an annual or special meeting to disclose not simply equity ownership, or shares held, but any economic position that has the effect of mimicking equity ownership. Companies should carefully evaluate their bylaws for the existence of such provisions and the details required to be disclosed. MARKET SURVEILLANCE: Besides passively awaiting the filing of a Schedule 13D or scouring the FTC HSR early termination website, most companies will engage in some degree of market surveillance, though the quality and insight of such services varies widely. Companies may receive, for free, reports of large movements in volume or stock trades. Such reports are opaque as to the actual purchaser or seller, which may be behind a financial institution custodian of shares held in street name. However, the value add of a tailored, and correspondingly more costly, surveillance service is to look behind the numbers. Most proxy solicitation firms will offer such services, which harness their insight into which particular activists – or, of equal insight, non-activists, such as fast-moving hedge funds or longer-term fund portfolio managers – use which particular custodians. Over the summer, Delaware in two separate and impactful decisions hit out at many, if not most, shareholder litigation suits challenging public company M&A suits. The result: uncertainty ahead. Delaware Governor Jack Markell has signed into law Senate Bill No. 75, which prohibits fee-shifting (or “loser pays”) bylaws for stock corporations. Much to the chagrin of the US Chamber of Commerce, the legislation sped through the Delaware legislature on its way to killing the purported opening created when the Delaware Supreme Court permitted fee-shifting for non-stock corporations in ATP Tour, Inc. v. Deutscher Tennis Bund, 91 A.3d 554 (Del. 2014). • The ban does not apply to non-stock corporations, although the intellectual reasoning for not extending it to non-stock corporations is unclear – it is convenient, however, that by carving out non-stock corporations, the Delaware legislature and executive are not put in the position of having to overturn the holding of ATP which thus continues to permit fee-shifting for non-stock corporations. • The ban is precisely that – an outright ban. Despite a few lonely cries from a couple of Delaware practitioners, there does not appear to be any impetus to explore more pragmatic compromise positions, such as limiting loser pays liability at a reasonable pre-set amount (perhaps US$250,000 or US$500,000 or the like). • The ban is to be accompanied by a ban on adopting exclusive forum bylaws that put exclusivity in a state other than Delaware – hence, a Delaware corporation may only centralize its litigation in Delaware, but not elsewhere. The campaign of New York City Comptroller Scott Springer, on behalf of New York City’s pension funds, to introduce proxy access proposals at 75 different large public companies is well under way, and preliminary indications are that the approval rate of such proposals is resoundingly high. According to Proxy Monitor, a project of The Manhattan Institute, 15 of 19 proxy access proposals (whether from Mr. Springer or otherwise) introduced at public company annual meetings in May passed. Of the 4 that failed to win, 2 received 49 percent support, 1 46 percent and 1 40 percent. This nearly 80 percent pass rate eclipses the approximately 60 percent pass rate for the 10 proposals introduced in the period between January 1 and April 30, which may be because many earlier proposals originated in part from perennial corporate gadflies rather than the more august office of the New York State Comptroller. Years of regulatory snarls and courtroom battles have left a complex, intertwined state and federal regulatory patchwork for proxy statements that has resulted in split approaches for stockholder proposals on one hand and stockholder nominations for directors on the other. Large pension funds are increasingly focused on encouraging companies to amend bylaws to allow for stockholder nomination of a percentage of director candidates. Adoption of these proposals is rapidly gaining momentum, and the dynamic may significantly change corporate board elections in the US. The annual ritual of a company’s annual meeting is soliciting votes in advance through the proxy statement. Proxies are used for routine meetings, as well as special meetings for transactions such as acquisitions. For a routine meeting, a company will solicit votes for a slate of company-nominated directors, ask for ratification of its independent public accounting firm, comply with Dodd-Frank’s requirement for an advisory vote on executive compensation and tackle other business, generally equity plan share reserve increases or the like. As part of the annual update cycle for Delaware’s General Corporations Law (DGCL), the Delaware Bar has returned to last year’s controversy on fee-shifting provisions in bylaws and certificates of incorporation to propose, yet again, destroying the ability of Delaware corporations to, in their organizing documents, have the losing party in an intra-company (i.e. fiduciary duty) lawsuit pay the prevailing party’s legal fees. The NYSE Corporate Governance Guide, published in early 2015, includes my Chapter 32 on legal issues related to corporate governance and cyber-security. And a pdf of Chapter 32 is posted under the Resources section of the blog. Ed Batts is co-chairman of DLA Piper’s Northern California Corporate & Finance practice. 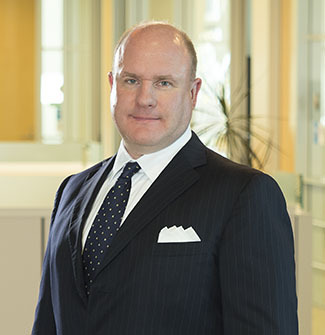 He counsels publicly traded companies in complex mergers and acquisitions, corporate governance and public offerings. He focuses on technology and has particular experience with cross-border transactions, public-public mergers, tender offers and going-private transactions. Batts also advises on board matters and public reporting obligations, including activist investor situations, stockholder proposals and accounting-related issues.